We realise no one’s perfect and it often feels like we can never be free of doing something that is detrimental to our environment. At Call A Cooler we incorporate steps whenever we can to do things better. This is why our customers only receive information from us online, no printed paper wherever possible. All of the packing for our water coolers is recycled. The cardboard is recycled with Visy at the Alexandria depot and our polystyrene is bagged and delivered to a recycler in Homebush West, Sydney. The polystyrene is then crushed and turned into pellets for the packaging industry for South Korea. We have also partnered with Carbon Neutral earlier this month to continue working towards being carbon neutral. We’ve put together 3 top tips to help your business become a little more carbon friendly. Before you go to hit the print button, think twice. Do you really need to?. If so, print double sided, and if your office doesn’t recycle paper, ask for it. Australians are one of the highest users of new technology in the world, so when you’re upgrading your laptops or any electronic equipment, and ink cartridges, remember -these can all be recycled. You will also save some $$ in the process. Install LED lightbulbs which significantly reduce energy used. Turn off your computer and monitors completely when you leave the office. Turn off lights when you’re not using them – common sense we know, but one prime example, and often overlooked, is the bathrooms. For some organisations, a large portion of their carbon footprint is as a result of embedded carbon emissions from their supply chain. So it’s important to look at not just your own actions and processes, but the suppliers you also choose to work with and use, and the emissions from the production, transport and end use of the goods. Of course, one of these is your water cooler company. 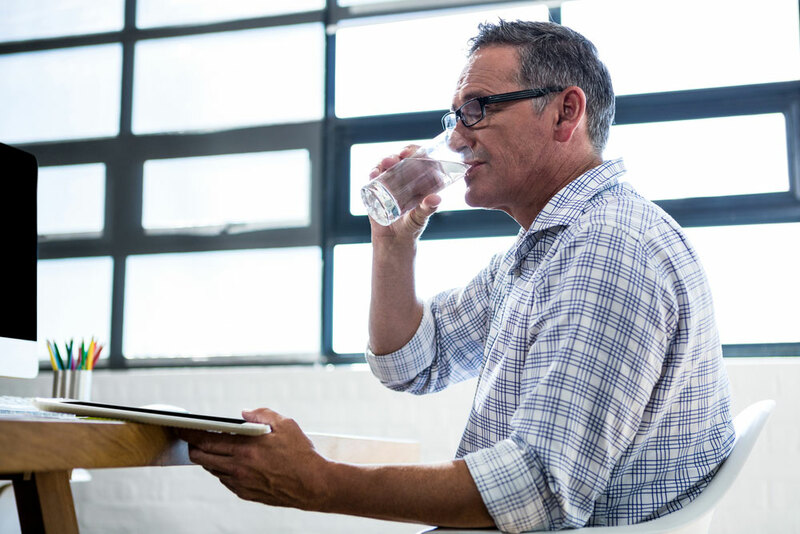 A lot of our customers who switched to our water filtration service, didn’t realise how much impact the bottled water industry has on our environment. The oil needed to produce the plastic bottles, the diesel to transport these, and huge wastage in the end product.